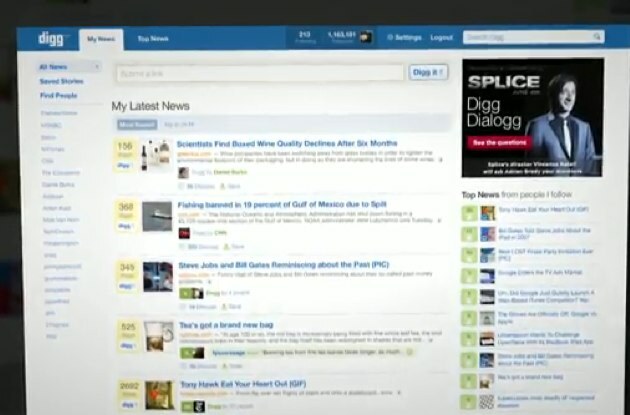 The video above, which we believe will be shown to publishers to promote the new Digg, gives a never before seen look at the new version of Digg, version 4, that the company has been working on for over a year – founder Kevin Rose first spoke about it in April 2009. The new version of the service is designed to get publishers, currently enamored with the viral spread of content on Twitter and Facebook, to start focusing on Digg again. 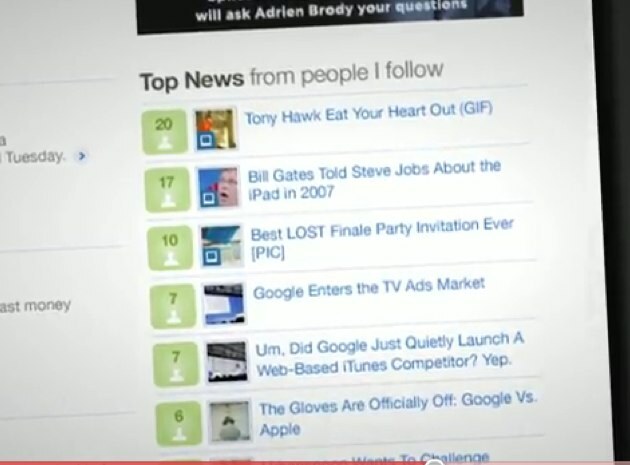 As Rose says in the interview, only the top headlines on Digg – 100 or so stories a day – actually get much traffic. So publishers, including us, have focused more on promoting sharing on Twitter and Facebook, where it isn’t an all or nothing outcome. All Digg users will go through an “onboarding process” that asks them to follow friends, tastemakers and publishers. Users will be asked to import their social graphs from Facebook, Twitter, etc. There’s also a suggested user list for users. Their home page will no longer show just top stories by total votes. Instead, it will show links from people and publishers you follow, called My News. 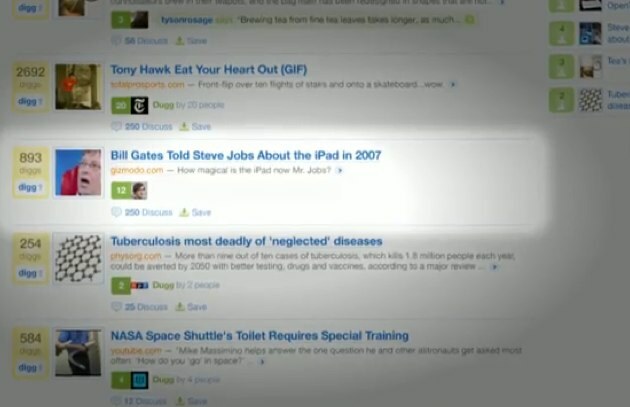 Hugely popular stories on Digg will still be shown on a Top News channel. If a user diggs a story, all followers of that user will then see it in their feed, too, which is sort of like a retweet. This can create a “chain reaction,” says Rose, and can drive significant traffic. Publishers will now be able to auto-publish their content via RSS feeds to Digg, eliminating the need for someone to add a story for the first time. Each story will start off with one Digg. The process for adding a story manually is also much simpler – a user simply pastes the URL into Digg and the an image, title and summary are automatically generated. Users will only see links to stories that are popular and that their friends are promoting, says Digg, and there’s no clutter from status updates and other content you see on Twitter and Facebook. It’s a pure place for linked content that people and entities you follow are promoting.